Prime Time Sports Talk | Does Bruce Cassidy Plan on Sitting Zdeno Chara? Does Bruce Cassidy Plan on Sitting Zdeno Chara? Zdeno Chara is an exceptional player in terms of his physical preparation. Even though he is 41 years old, he works out harder than anybody else in the gym or in the practice. Would the Bruins consider giving their captain a rest for few games thought? Boston Bruins head coach Bruce Cassidy discussed it. Sitting Chara would not be an indication that the Bruins are not trusting their captain anymore. 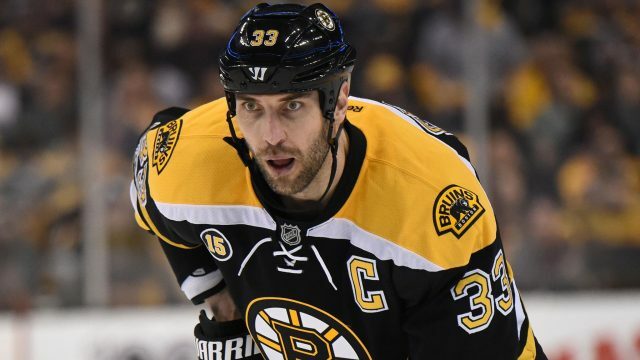 It is more than probable that Zdeno Chara will re-sign with the Bruins in the offseason. The veteran is on a one-year $5 million dollar contract, which he signed in the middle of last season. The Bruins would definitely like to make that number smaller headed into next season with so many players needing new deals. There is no glaring problem with Chara. However, he has missed 19 games this season because of a knee injury. Chara suffered the injury back in November when the Bruins dropped a game in Colorado against the Avalanche. The Avs are coming back to face the Bruins at TD Garden on Sunday later this week. The Bruins have still 28 games left to play this regular season. Cassidy discussed the possibility of resting Chara for few games last year as well. But Chara got injured and returned back just one week before the regular season ended. As Cassidy said, there is no insurance he will leave Chara in the press box. Chara’s ice-time in 35 games played this season is barely over 20 minutes per night. “He’s one of our, if not our best defencemen. … Zee’s got a lot of hockey left in him. I wouldn’t put it past him to play 4 or 5 more years in this league,” Cassidy said back in August for masslive.com. Chara will celebrate his 42nd birthday in March and is aiming to play in his 1,500th game in the NHL next season (sitting on 1,458 games played). Last season, Chara skated in 73 games, totaling 24 points and was a plus 22 in the regular season and another plus seven in the playoffs. This season, in 35 games Chara has recorded seven points and is a plus one. The Slovakian defenceman was +18 in the 2016-2017 season and +12 in the 2015-2016 season. Last time Chara didn’t have a positive net rating was the 2014-2015 season when he ended up with a zero for plus-minus. How would sitting Chara have benefits? For starters, Chara may beneficiate from rest in a few games and can be ready heading into the playoffs. The Bruins presently see defenceman John Moore sitting in the press box after they signed him to a five-year deal worth $2,750,000 per season. It is nearly impossible for the Bruins coaches to take Matt Grzelcyk out of the lineup and Torey Krug is even more untouchable. Slotting Moore in place of Zdeno Chara for few games on the left side of the Bruins defense wouldn’t be a bad idea. Nevertheless, it is an issue yet to be resolved by Bruce Cassidy.